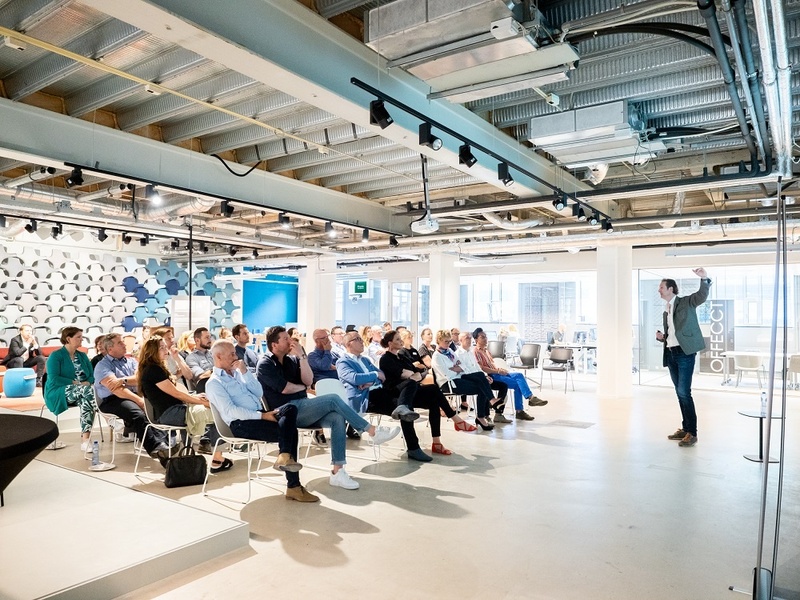 Last week Flokk hosted a series of insightful seminars as part of Design District, the leading design trade event in the Netherlands. 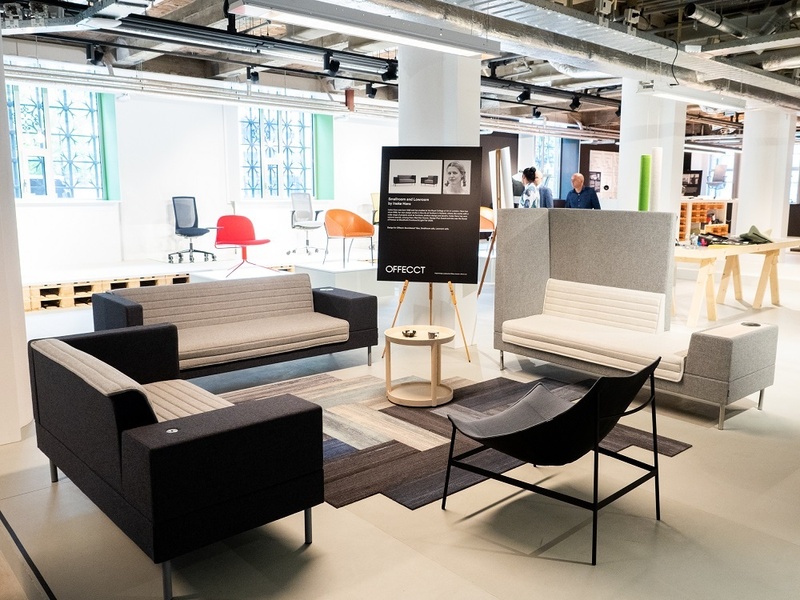 From the 6th – 8th June, the Flokk Design Centre in the heart of Rotterdam set out to inspire hosting a series of design talks with three influential designers currently collaborating with Flokk brand Offecct on a range of innovative new products. Across the three days, each designer gave their opinion on the concept of original design, and how this influences their decisions, as well as what the future may hold. Designers Richard Hutten, Ineke Hans and Andrea Ruggiero gave their individual points of view on the idea of current and future ideas of original design. Hutten is known for his subtle and playful approach to design which he is known to have captured in the coin phrase "No Sign of Design". Playfulness is an important aspect of Richard Hutten work. 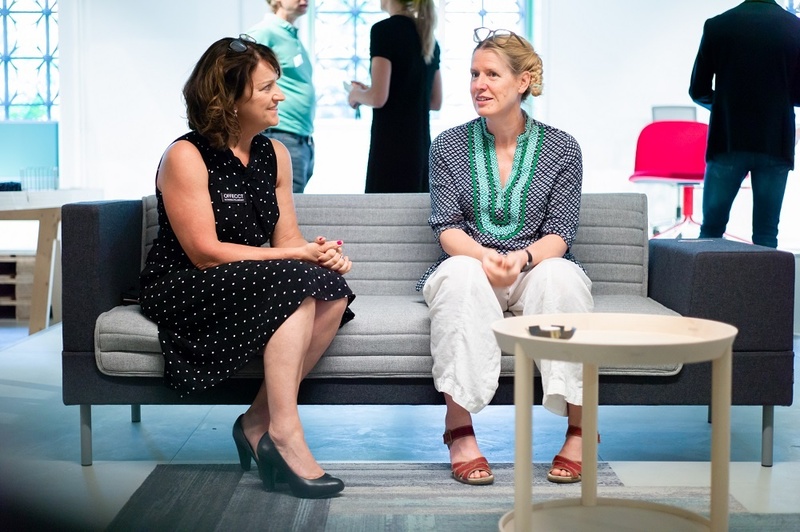 Referring to ‘Homo Ludens or “Playing Man” by the Dutch historian and cultural theorist Professor Johan Huizinga, Richard Hutten’s designs are aiming to contribute to the importance of play as culture. Satellite by Richard Hutten. 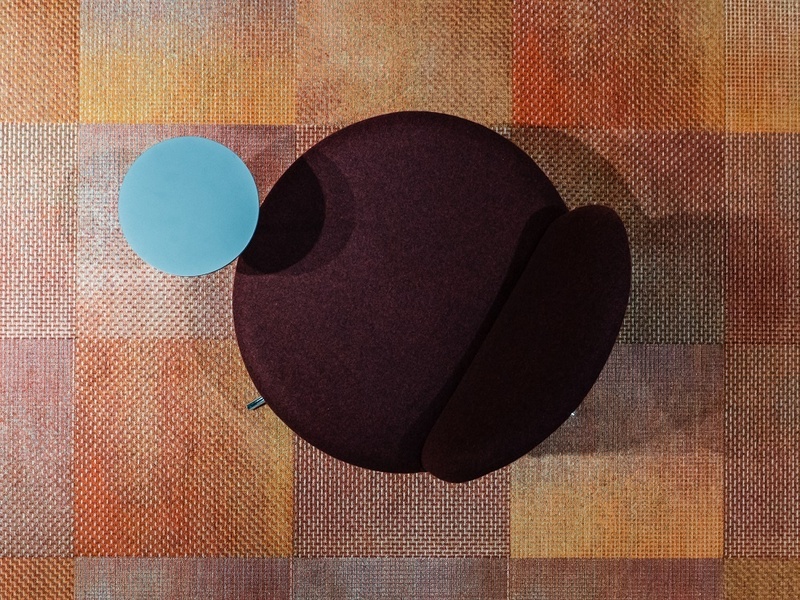 Original design developed and produced by Offecct. 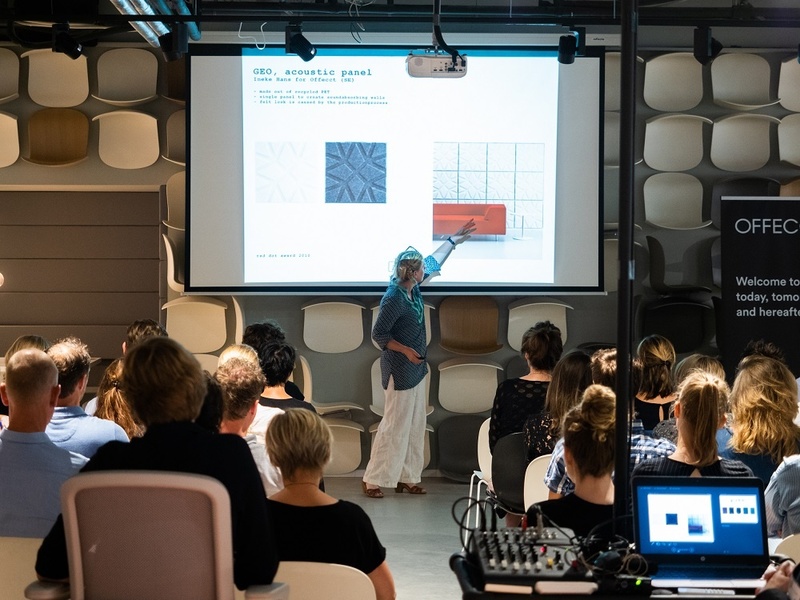 During her seminar, Ineke explained how her experiences on various projects have influenced the way she designs. A notable moment was when she touched upon a special project she took part in on Fogo Island in Canada, where she had the opportunity to stay with this remote fishing community for a period of time, designing wooden furniture for the inn where she stayed, and to gain inspiration and learning from this unique culture. You can read more about her time here. Smallroom Plus by Ineke Hans. 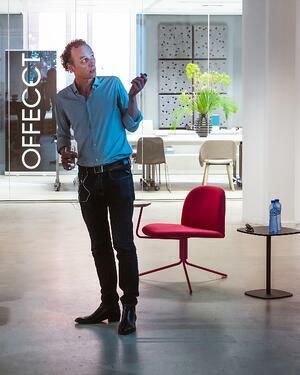 Original design developed and produced by Offecct. Trained as an industrial designer, Andrea Ruggiero approaches design as a generalist, bridging various disciplines. In addition to product design, he has been actively involved in the design and development of identity systems, furniture, packaging, and environments. 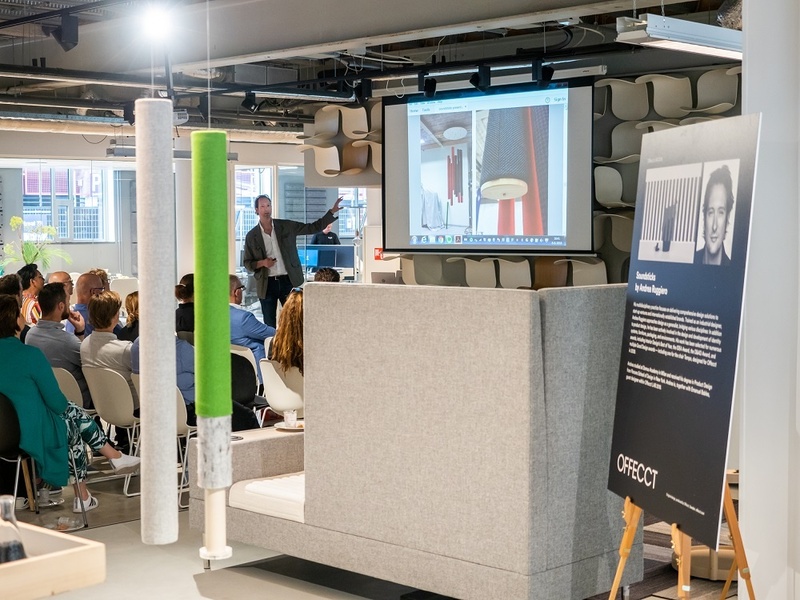 Andrea Ruggiero has been working with Offecct in the development of Soundsticks, a product still in the research and development phase and part of the Offecct LAB. 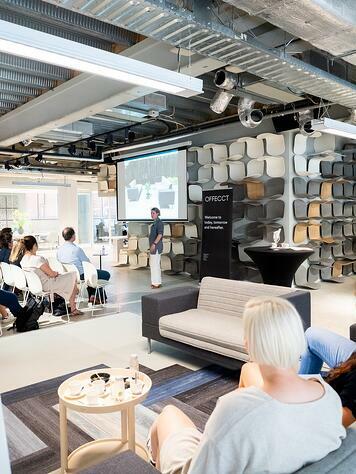 This project is within the Offecct Lifecircle mission, regarding design, sustainability and the possibilities of up-cycling. Soundsticks by Andrea Ruggiero. 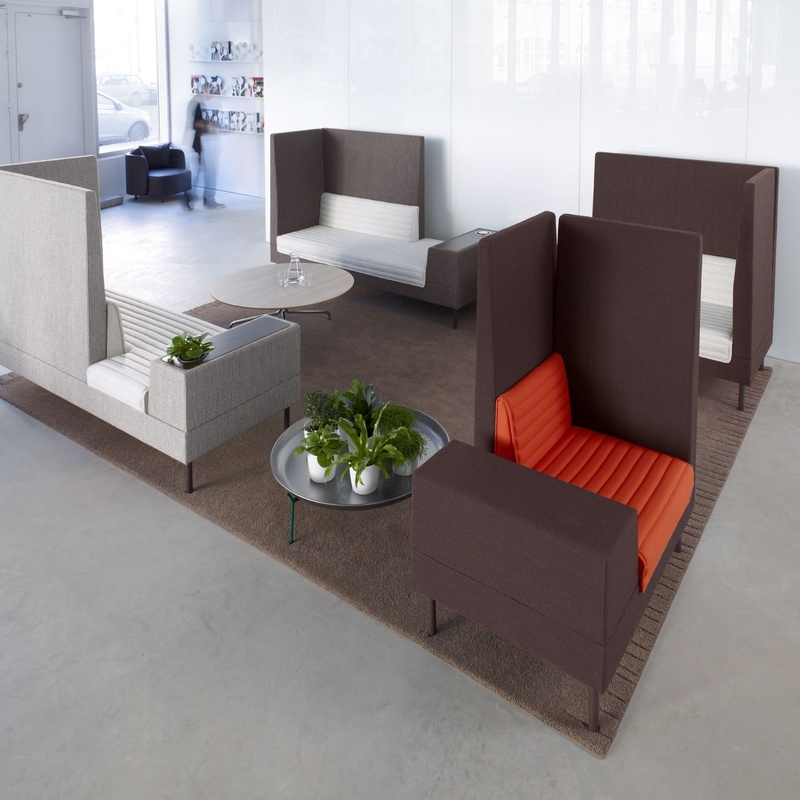 Original design developed and produced by Offecct. 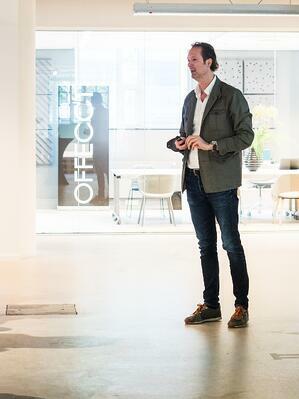 To learn more about Offecct, visit their website now.